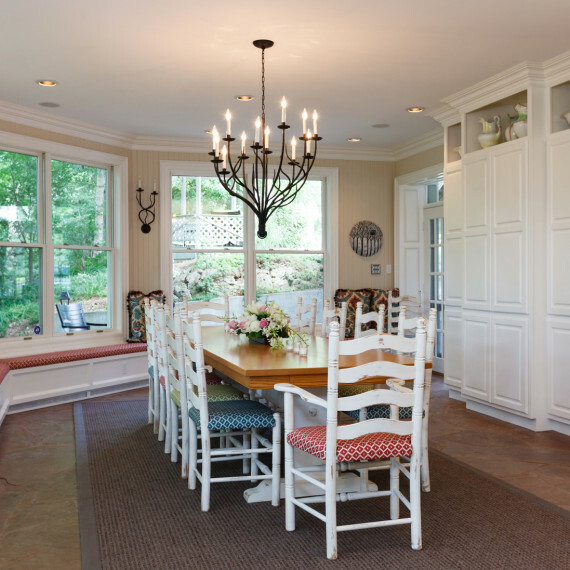 This charming country estate was updated in several areas including the kitchen, dining room, living room, and powder room. 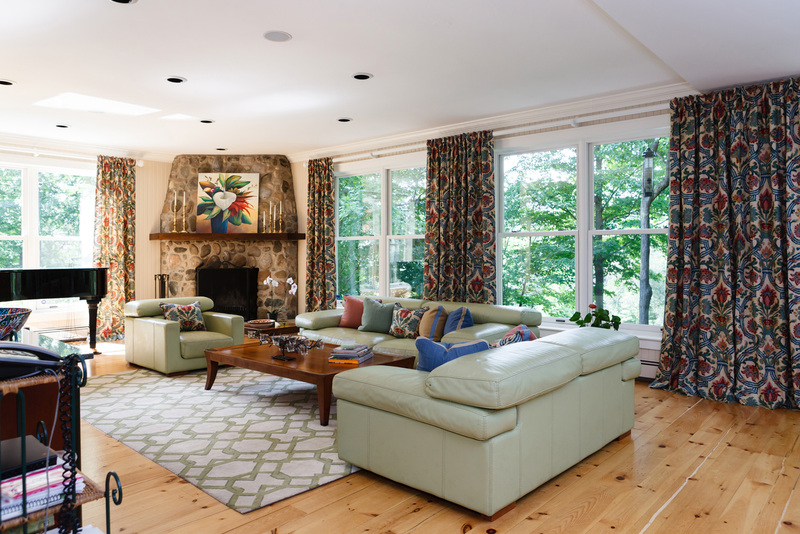 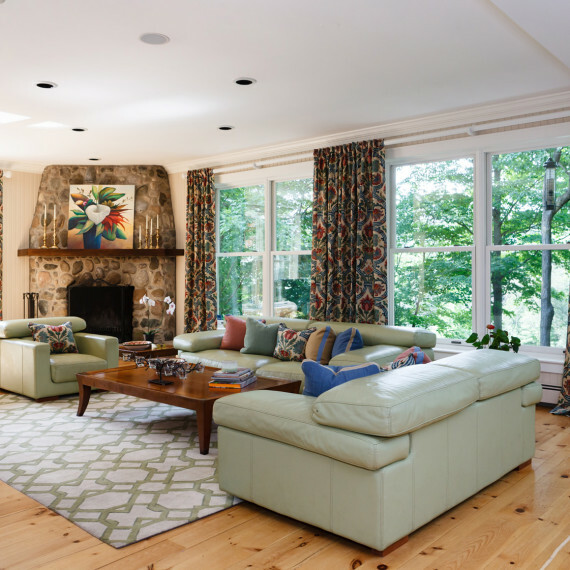 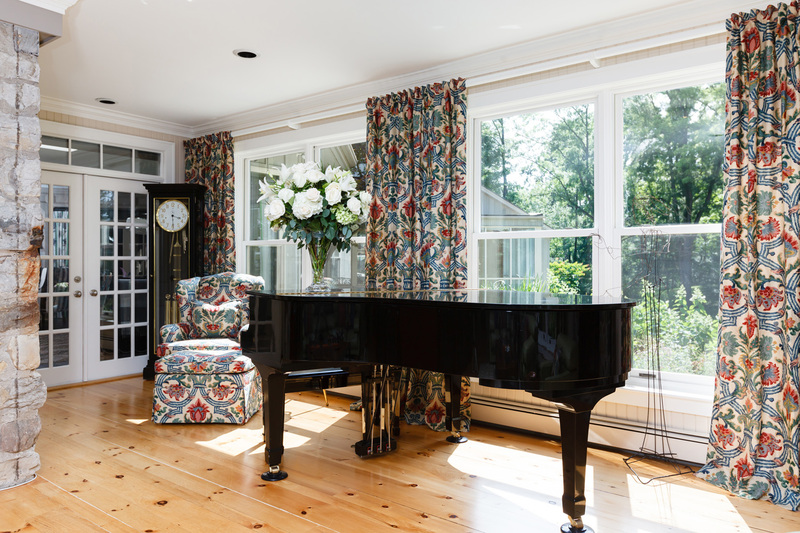 Pine panelling in the kitchen and family room was painted out to give an open and airy feel. 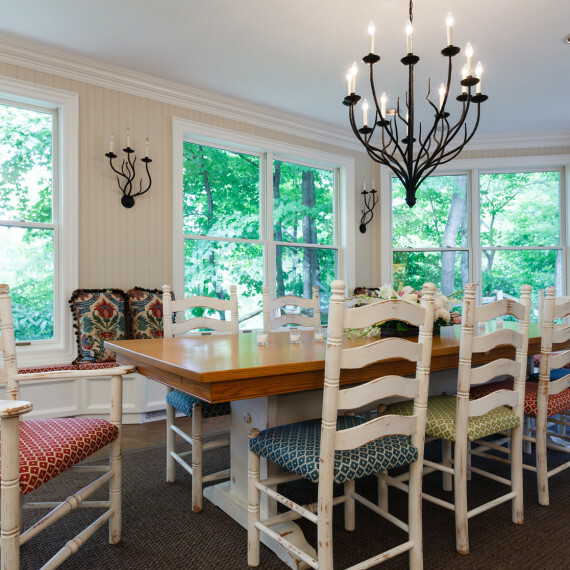 The kitchen table legs and chairs were painted and paired with playful and colourful fabric used for drapery, pillows and bench upholstery. 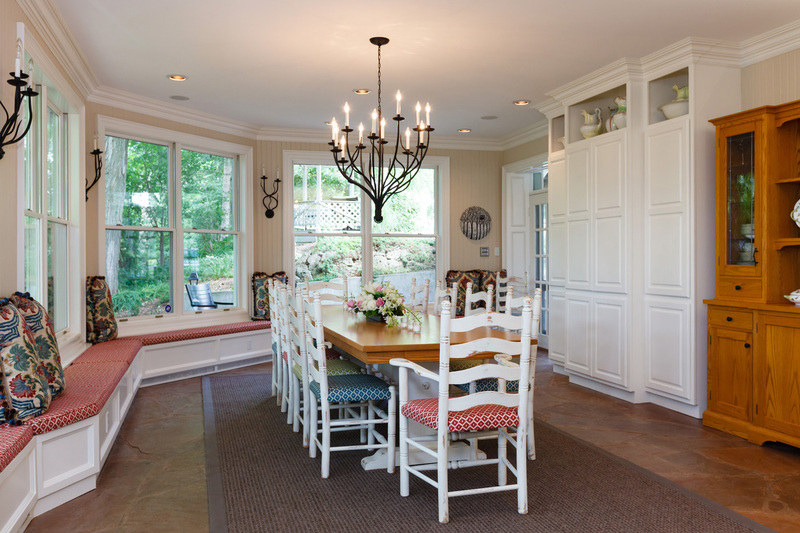 Finishing touches to the kitchen included a new kitchen backsplash, cabinet hardware, new kitchen light fixture and sconces. 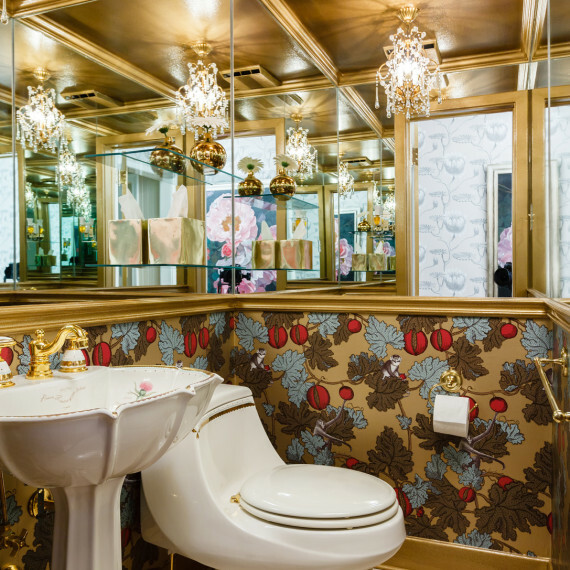 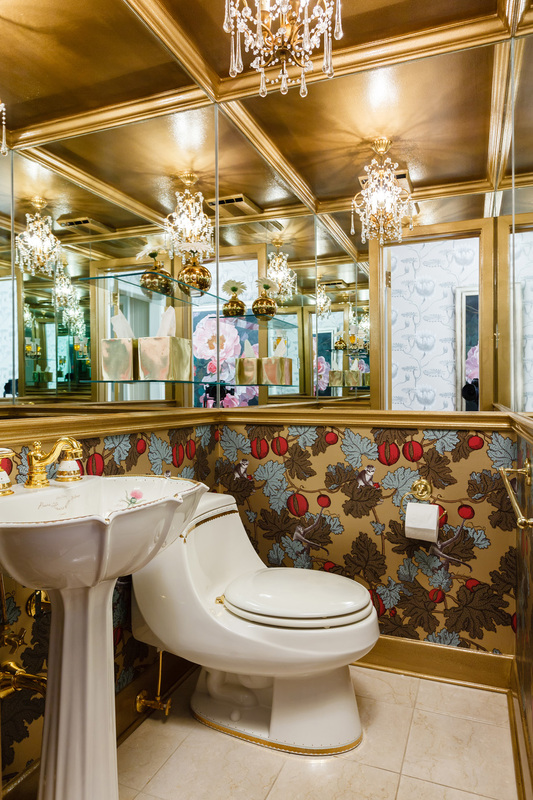 The powder room was painted and outfitted with a unique, glamorous wallpaper to match the existing sanitaryware. 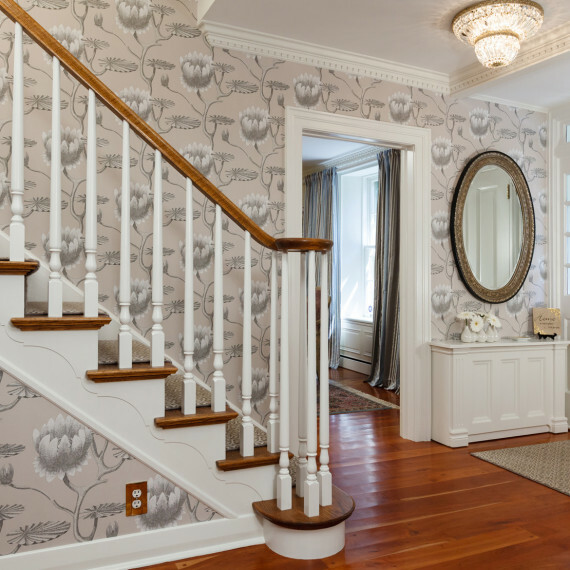 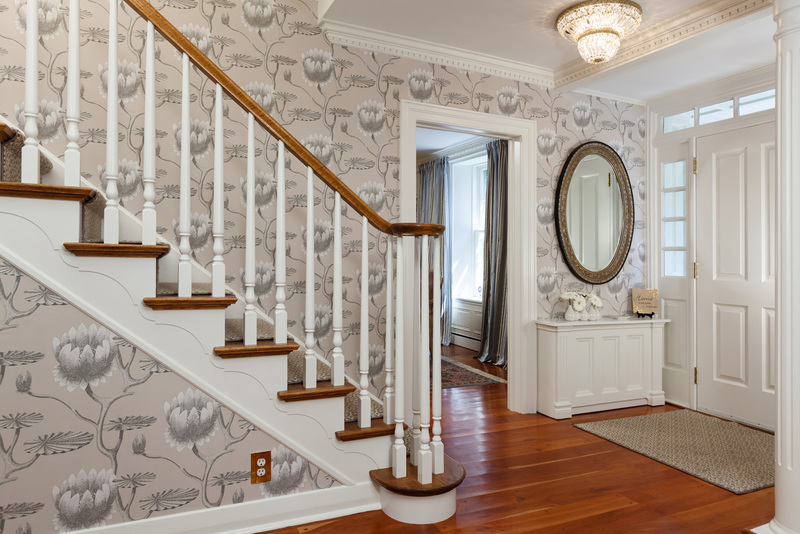 The foyer was given a fresh update with new wallpaper. 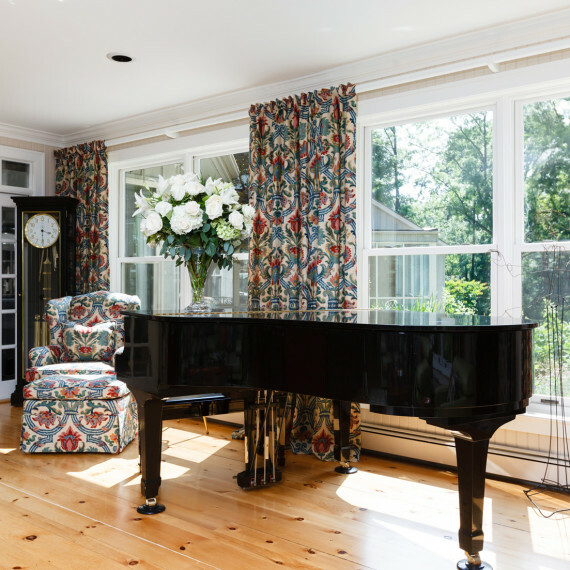 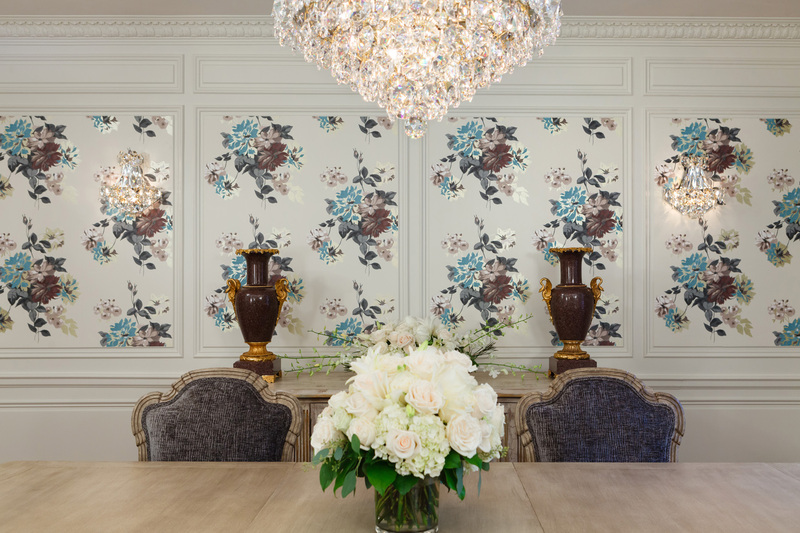 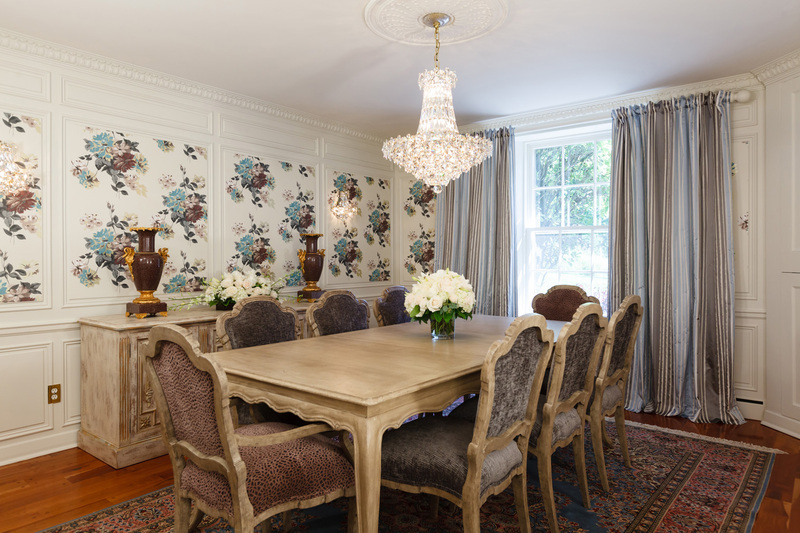 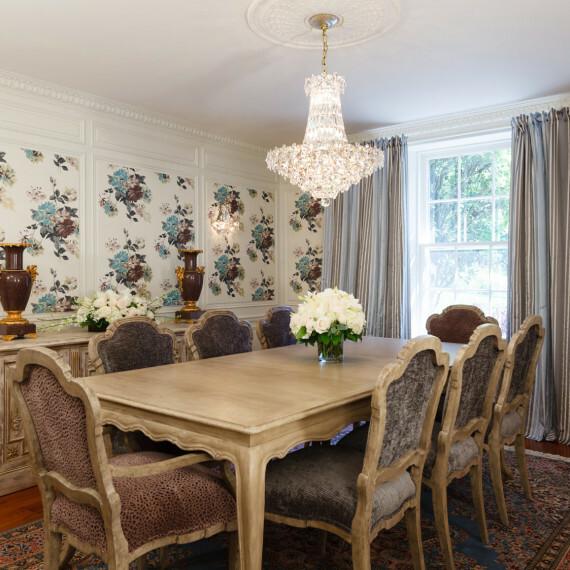 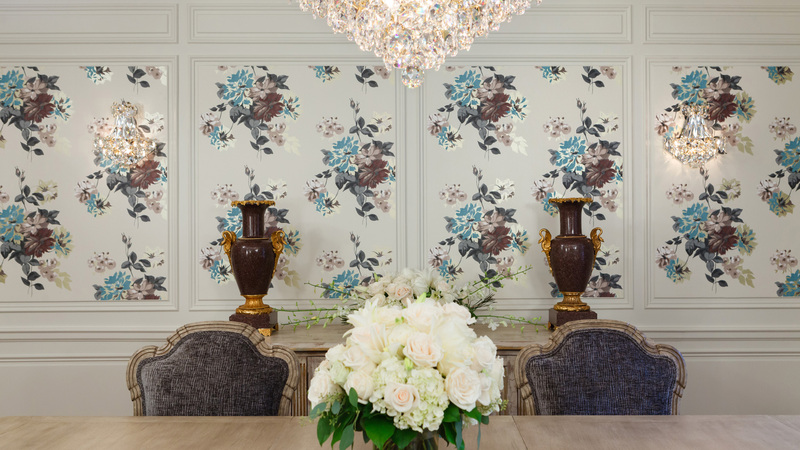 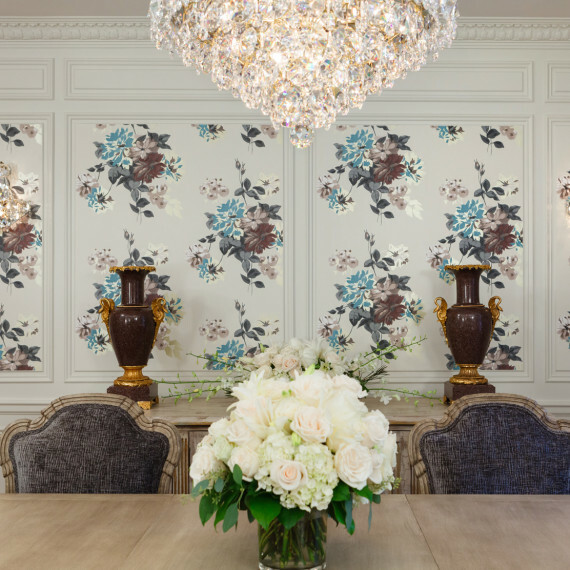 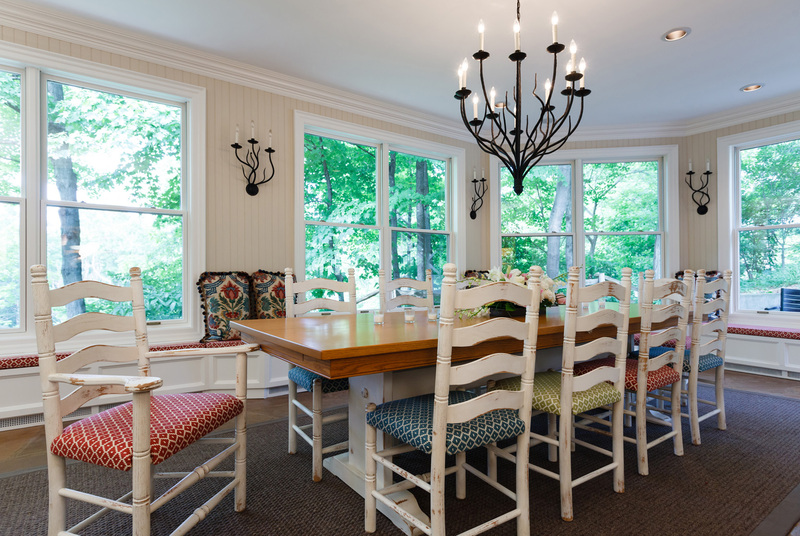 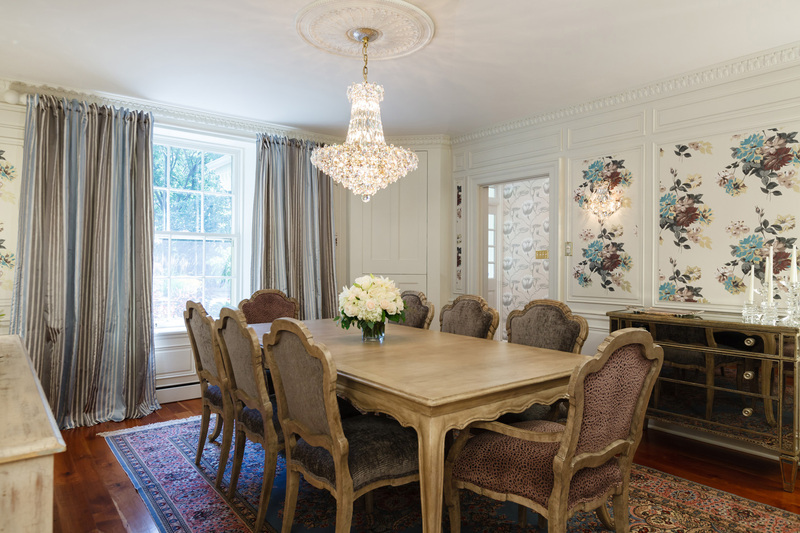 The dining room was painted, wall-papered, outfitted with a new rug, upholstered dining chairs, drapery, antique accent pieces and a new mirror.